A perfect floral display that you will love to wear. 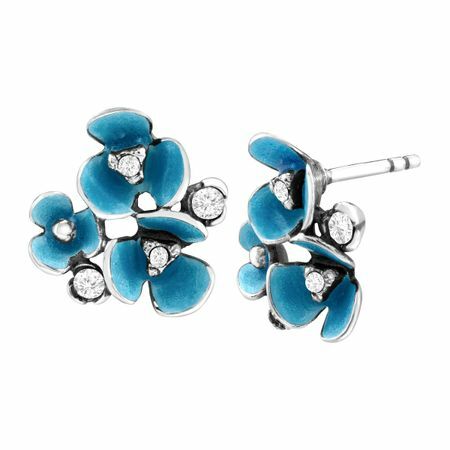 These Van Kempen stud earrings feature three blue enamel flowers with sparkling Swarovski crystals centers all set in sterling silver. Pieces measure 5/8 by 1/2 inches.